Back to the world of smartphones again after a short slip into the motor world. Here, we look at the Sony Xperia Z3, a modern version of the Xperia Z2 – an Android phone that is older than this other version by only 6 months. Maybe before we can continue you can look at this smartphone to help you have an informed point of view while evaluating this Sony Xperia Z3. Considering the time lapse between Xperia Z2 and Xperia Z3, you could be very much interested in getting to know why you would go for the latter and not the former. Well, let’s see what Xperia Z3 has for you. With the Xperia Z3, there is an increased power with a significant gain on the camera features. The Xperia Z3 body is lighter, something that you would consider favorable to you. Most important to note is that, the great features that were included in Xperia Z2 have all been retained. Therefore, Xperia Z3 is just a better version of the old smartphone. So with it, you will still have your long battery life, great screen and high performance in terms of features and usability. 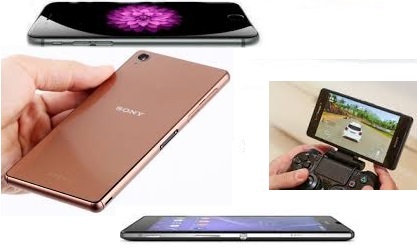 In terms of design and appearance, Sony Xperia Z3 is more or less similar to Sony Xperia Z2. Its structure is made of aluminum and glass. 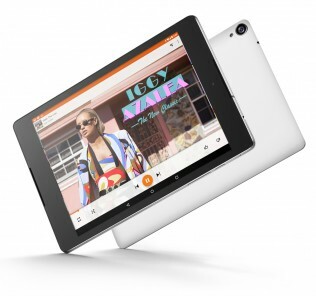 Its features include speakers facing to the front and a camera sensor that is located at the back side. The Sony Xperia Z3 phone is 7.3mm thick relatively slimmer compared to Sony Xperia Z2. There has been a slight improvement on the weight by about 10g. Sony Xperia Z3 has a noticeable narrower frame than that of Sony Xperia Z2. 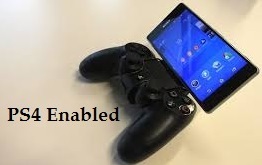 Therefore, it becomes appropriate for one-handed users. The anodized aluminium surface finish has a look of the iPhone 6 but the glass at the back distinguishes it from the later. The phone’s corners are somewhat curvier and are expected to make it a lot more comfortable when holding. All the same, its look doesn’t beat that of One M8 and iPhone 6. However, its design is made to resist water and dust. 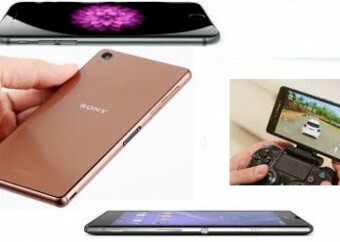 With the Sony Xperia Z3, Sony has gone up to a higher IP68 certification – the phone can survive in 1.5 meters depth of water for about half an hour given that the nano SIM card and USB charging pot are sealed and closed well. The USB charging port, the micro SD card and nano SIM slot have been made a much stronger condition than in the previous Sony Xperia Z2. The Sony Xperia Z3’s screen size is the same as that of Sony Xperia Z2’s 5.2 inch screen. Therefore, the phone still has 424 pixels per inch giving a very sharp screen image. The phone’s screen is bigger than that of One M8, iPhone 6 and Samsung S5. Generally, the screen is fantastically good. There may be slight differences in performance; the screen is brighter than the previous version, the One M8 and the Samsung S5. The brightness is adjustable based on the surrounding due to the integrated adaptive display mode to make it a great choice for outdoor use. The approach of using the screen technology from Sony Bravia TV range has continued to provide a lot of benefits. The images taken through the phone’s camera are sharp, providing a heavy and accurate color contrast through the use of the Triluminous, X-Reality for Mobile and Live Colour LED display technology. The Sony Xperia Z3 makes use of blue LED contrary to conventional LCD displays that use white LED to bring out a more clear and colorful image. The Sony Xperia Z3 holds up a full Interstellar trailer HD version better than the iPhone 6 and Samsung galaxy S5. Faces on the screen are usually natural in appearance with strong-white viewing angles. Despite its development from Sony Xperia Z2, Sony Xperia Z3 has not been able to address the issue of big icons. The phone has a 20.7 MP camera – however, the autofocus can slightly be off. However, a slight tap on the screen quickly fixes the issue. The Sony Xperia Z3 is a very awesome Sony product with a great display experience and promising design in its features that pose some competition to the Android phones such as LG, HTC and Samsung. It is indeed among the best Sony Phones. However, its quality matches well with others such as HTC one M8, LG G3, Samsung Galaxy S5 and the iPhone 6. Most importantly, it has a high promise of a better development for all lovers of Sony phones. The phone is available in a variety of colors such as green, copper and white. Simon Titus is a mechanical systems engineer, a blogger and editor with a passion for finding real-time solutions for individuals and companies, connecting buyers to sellers and creating a high web presence for business clients and individuals.